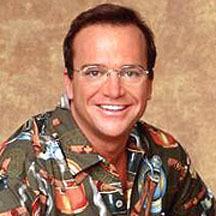 Tom Arnold is an actor (True Lies, Animal Factory) but is perhaps more famous for having been (briefly) married to Roseanne Barr. Converted to Judaism, though there is some in his bloodline. Refused a multi-million dollar divorce settlement offer from Barr at the height of her career, electing instead to let their marriage be dissolved without any substantial payout.